Simon Who? Tyler Re-invigorates "Idol"
Steven Tyler is the one to watch in Simon Cowell's absence. There were differing opinions on how season 10 of “American Idol” would look this year, but almost everyone agreed on two points: “Idol” would sorely miss the irreplaceable Simon Cowell, and few would notice the absence of Ellen DeGeneres after her disappointing season as the fourth judge. Both of those are correct, but Simon’s absence hasn’t been as impactful as expected because Steven Tyler has been a badly needed burst of fresh air. And that has happened because Tyler is doing what Ellen was supposed to do a year ago — add some fun to the program. Not only that, he’s doing so as a credible music talent who the contestants are listening to. Nobody quite knew what to make of the Aerosmith frontman when Fox announced he was one of the new judges because this is something completely foreign to what he’s done in the past. Fans have seen him in rock concerts and the odd TV interview, but among the “Idol” audience, his actress daughter, Liv Tyler, likely began 2011 with the greater name recognition. For a show that presumably was trying to get younger — hence the lowering of the age limit to 15 for the auditions — bringing in someone who was a music veteran when the parents of those 15-year-olds were teens themselves didn’t seem to make much sense. What looked strange on paper, however, has been very enjoyable in practice. Ask Tyler what he brings to the table, as journalists did in a recent conference call, and he has a ready answer. “I’m just bringing my Italian on how to work a room, Aunt Phyllis honesty, 40 years as front guy in Aerosmith who’s judged the hell out of himself and kind of made a good career out of it, and with hopes to find some kids in America here for 'American Idol' to take the stage and no more, no less,” he said. But really, what he brings is fun mixed with credibility. He’s having a good time up there, humorous and self-deprecating. But unlike with Ellen a year ago, he can’t be dismissed by naysayers because he knows better than a lot of people what it takes to succeed in the music business. In addition, he gets along well with others. The big difference in the new judging panel has been the chemistry, and Tyler deserves a lot of credit for that. “Idol” became must-watch TV not just because of Simon’s snark, but because of how he interacted with the other judges, particularly Paula Abdul. When she left, the show lost something. Simon’s exchanged barbs with Kara weren’t the same — she threw more elbows, he was more dismissive. And he never took Ellen seriously, so “Idol” in 2009 was akin to four strangers sharing a stage. The surprising thing about the new judges is how quickly they seem to have bonded. They aren’t as mean as previous editions — and Randy is brutally bad when he tries to be — but it is a lot more fun. Everyone seems to be enjoying themselves up there, and it shows. 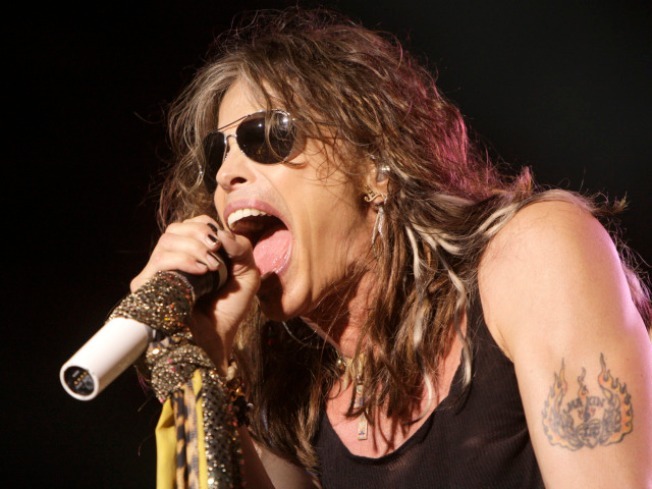 Unlike Ellen, the Aerosmith frontman has nothing but confidence up on stage. While the comedian appeared to script her jokes in advance, Tyler looks like he blurts out whatever comes into his mind — whether it is appropriate or not. He’s got the edge-of-your-seat unpredictability that Simon brought to the table, with the added plus that there’s always a chance he’ll say something crazy enough to get him fired. You had to watch Simon because he was cruel in a clever way. Sometimes he got bad press for being perceived to have gone over the line, making fun of the looks of an auditioner or commenting on the clothes or weight of various hopefuls. Rosie O’Donnell would get involved, the nightly entertainment news shows would have a few days of copy, and “Idol” took the higher ratings right to the bank. Tyler said he isn’t going to be the harsh judge, nor does he appear to have that streak in him. He does appear to be the lecherous judge, however. He’s also the judge who drops profanities in a way that will keep the FCC on its toes all year, particularly given his fondness for rhyming “duck” with … well, use your imagination. Particularly once the live shows start, there is a good chance that Tyler will get bleeped and hushed more in his first month than anyone else has in nine years. Every week will offer a chance that he’ll do something to get him in hot water, more than enough reason to give the post-Simon “Idol” a chance. Craig Berman is a writer in Washington. Follow him @craigberman, where he live tweets each "Idol" show.